Tom and Claire took us through the processes involved in rewriting the BBC Home Page. Old page was boring, tables based. New has been redone with web standards. Still looked the same, not a good plan. 9 months later, redesigned totally. No loops, no xml processing. Look like a page not an app. Images – CSS sprites – 60 image requests (old page) -> 3 only now with sprites – GIFs because of cross-browser support. Drag and drop isn’t the core point. 5% of users have no JS. So they don’t get identical features). The other 95%. Keyboard browsers, screen readers. Function of links can change. .blur() is not friends with JAWS. Sends users back to top of page. Taking care for some users, builds a better experience for all (web standards). bbc.co.uk/glow – bit iffy with browser support with other JS libraries – so they wrote their own. Will go open source, hopefully. New platform coming up – PHP running Zend framework (instead of nasty CGI and PERL nonsense). 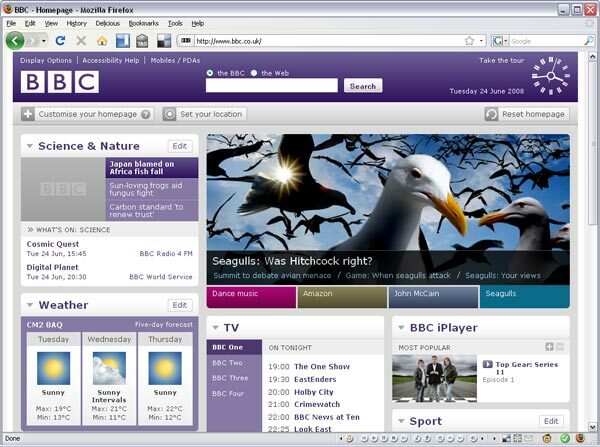 Identity – implicit and explicit personalisation on bbc-wide site. About 60% of users have customised the page some way or another. Scrum development, 2 sofrware engineers, 3 client-side devs took 3 months. Now joined OpenID federation – it will come. Fixed width still – wide variety of sites, easier to try and achieve a consistent look across all sites by using the fixed width. James’ presentation was about the design processes involved with developing Edenbee. Clear Left are a User Xperience Design Conustlancy. 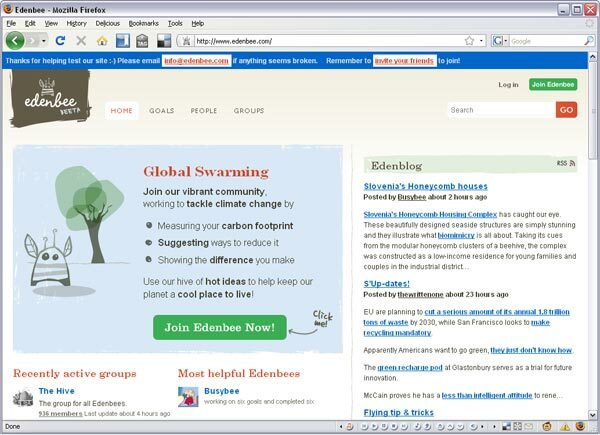 Edenbee Tracks green stuff and shows you your carbon footprint over time. Each user has a Goals page. eg fit enery-saving lightbulbs. Built by a small team – up to 4 people. 2 clients, New Bamboo did rails backend. Clearleft doesn’t do “deliverables” – they don’t get shown to the clients. Start with a “discovery phase” – get round a table to discuss. Paper-based to begin with. White boards. Carbon calculators. Make it social. Wanted it to be the place for your green profile – c.f. flickr, del.icio.us etc. amee.cc calculates the actual carbon emissions from meter readings, flights etc. Don’t let features overwhelm the main point of the site. Design features when the community needs them – not up front. No API at present, want one to be able to feed back into other areas of the web. Hive is the main group – aggregated content. This entry was posted in at media, conferences, design, development and tagged atmedia08, bbc, clear left, design, development, london web week, lww08. Bookmark the permalink.